2015/02/16 A new page was added to "Attorney system and JPO" of "IP information". 2013/07/29 English web pages were updated. 2013/01/16 English web pages were created. We provide excellent and competitive legal services for intellectual property rights to the foreign clients all over the world. 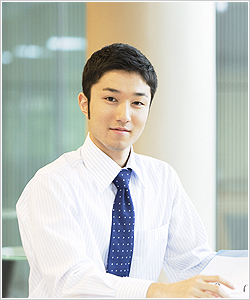 Our practice covers all procedures required to obtain and maintain the IP rights in Japan. In the field of patent law, our practice is specialized in the technical field of electric and electronics engineering such as semiconductor, sensing device, wireless communication and computer-related technology including computer software. In the field of utility model law, we provide filing services. Japanese utility model law adopts non-substantive examination system, so that we can certainly and promptly lead our clients to utility model registration. Our trademark practice covers not only a domestic application in Japan, but also a response to the provisional refusal in Japan regarding a interenational registration of trademark under the Madrid Protocol. Our firm is established in 2001, and locate at Osaka in Japan. Our patent practice is specialized in the technical field of electric and electronics engineering. That is the reason why we can provide the excellent patent services with a good balance of quality and speedy.